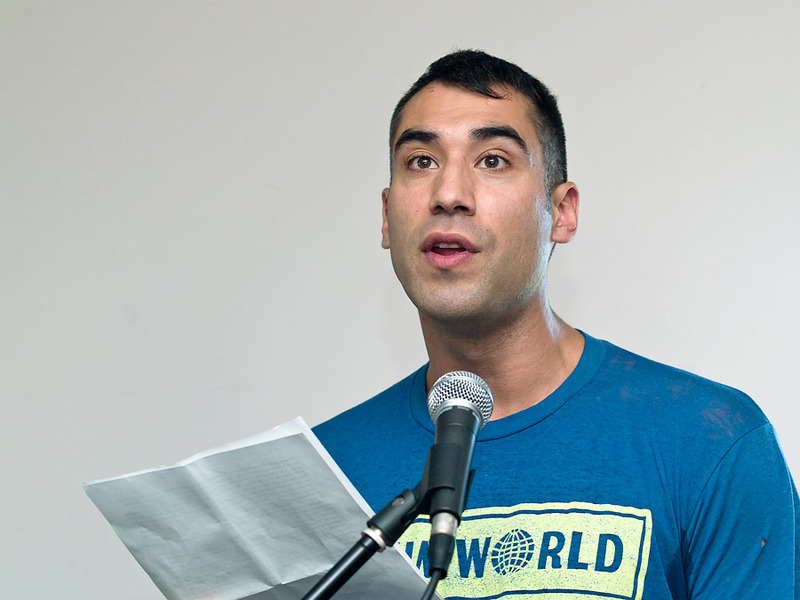 San Francisco poet Cedar Sigo was born February 2, 1978. He was raised on The Suquamish reservation near Seattle Washington and home schooled from the eighth grade onward. In 1995 he was awarded a scholarship to study writing and poetics at The Naropa Institute in Boulder Colorado where he studied with Allen Ginsberg, Anne Waldman, Lisa Jarnot, Alice Notley, and Joanne Kyger, among other poets. He has lived in San Francisco since 1999. In 2003 Ugly Duckling Presse published the first edition of his Selected Writings. It was followed in 2005 by a second revised and expanded edition. Other books include Death Race vsop, andExpensive Magic. A second large collection Stranger In Town is just out from City Lights.